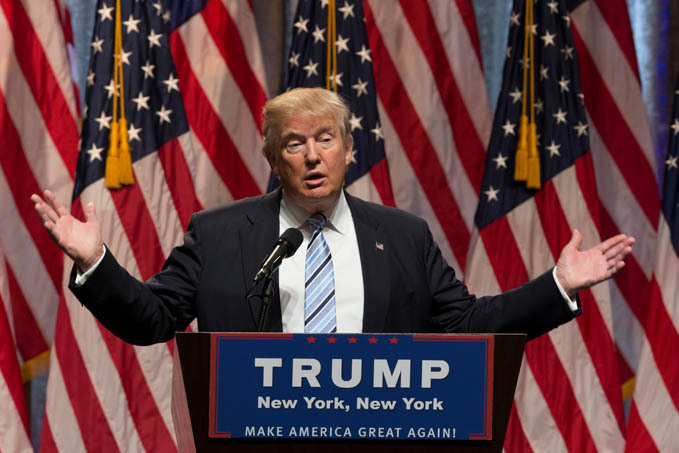 As President-elect Donald Trump prepares to take office, trucking industry analysts and political pundits envision a very different landscape for the trucking industry. The two most significant possible changes, experts forecast, are reductions in federal transportation regulations and rebuilding the nation’s infrastructure, which includes highways and bridges. While few expect changes to the federal mandate requiring the installation of electronic logging devices in all commercial trucks by the end of 2017, many within the trucking industry see a potential loosening of transportation regulations. A reduction in federal regulatory oversight may translate into the easing of fleets’ financial constraints and eventually a more robust industry. Overall, trucking under Trump is being viewed positively. However, some remain wary. “We’re all going to find out if Trump and the Republicans can deliver,” Joe Rajkovacz told Overdrive Magazine. Rajkovacz is director of governmental affairs for the Western States Trucking Association. Many industry leaders view the Federal Motor Carrier Safety Administration’s recent oversight measures as burdensome and tone-deaf to industry input. “FMCSA positions on many issues are politically influenced. It is now time for Republicans to reverse FMCSA’s adversarial relationship with the trucking industry. The FAA (Federal Aviation Administration) doesn’t approach the airline industry as the ‘enemy of the state,’” Rajkovacz said. Federal officials ought to take a more comprehensive look at how regulations shape and direct the industry and include fleet analyses as part of the development of overall solutions to commercial transportation challenges, industry leaders assert. Authorities should institute “a more inclusive and data-driven regulatory process,” Bill Sullivan told Trucks.com. “One focused on good, sound safety and economic outcomes, rather than a process that drafts regulatory solutions in search of problems.” Sullivan is the American Trucking Associations’ executive vice president of advocacy. The ATA is the industry’s largest trade group. “We do think there will be opportunities for trucking to shape, not just the rules that are being written now, but how future rules are written,” said ATA spokesman Sean McNally. Trump said his administration would present a $1 trillion infrastructure funding plan to repair the nation’s transportation system, a measure supported by unions and labor groups. U.S. infrastructure earned a D+ rating from the American Society of Civil Engineers earlier this year. “It is time we commit to again making our infrastructure the envy of the world,” said Teamsters President James P. Hoffa. Some environmental groups worry that the Trump administration may put the brakes on new greenhouse gas emission and fuel economy standards. The EPA under President Obama instituted new standards in August, compelling fleets to lower carbon emissions in trucks weighing more than 26,000 pounds. The changes would be implemented in three phases by 2027. Many fleet leaders have objected, saying they won’t be able to afford the cost of upgrading many of their existing and older trucks to the more stringent standards and that more lax proposals should be considered to accommodate smaller-fleet operations. Avery Vise of TransComply said Trump may nix a proposed National Highway Traffic Safety Administration rule requiring that trucks be equipped with devices that restrict speeds. Vise is president of the regulatory compliance consulting firm. He said older trucks lack the controls to accommodate the electronic equipment. The legislation had attempted to remedy a bureaucratic flaw in the 2015 appropriations bill that didn’t include the 34-hour restart rule. Truck drivers use the restart to reset their duty clocks. The rule requires drivers to take 34 hours off after reaching their weekly maximum hours and restricts early morning driving – 1-5 a.m. – for two nights. Drivers are prohibited from driving more than 60 hours in seven days. The revised bill mistakenly added requirements to a transportation department’s study on the restart provision’s effectiveness. The “fix” restores the rule to pre-July 2013 requirements. Industry lobbyists argued that the new requirements would have put more drivers on the road during morning rush hours and disrupted their sleep schedules, increasing the risks for crashes and traffic congestion. ABCO Transportation is a specialist in refrigerated trucking services. Products like meat, flowers and produce must be kept below certain temperatures for safe delivery to consumers. Our fleet is able to meet any shipping needs, locally or across the continental US. Give us a call to find out how we can provide the solution you need.